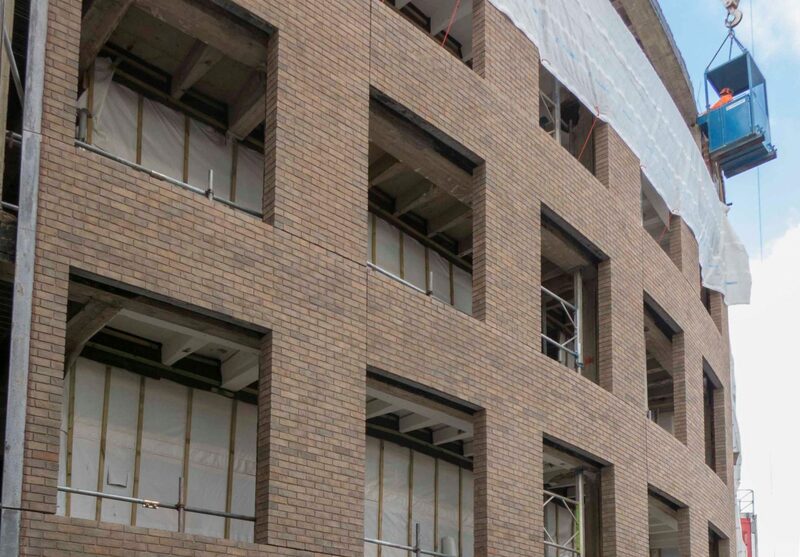 April has seen the first Brick Faced Precast panels installed on plot B of the famous Television Centre redevelopment located at Wood Lane, London. Manufactured using a lightweight self compacting concrete, these Panels where developed specifically for this project in order to overcome significant restrictions on weight as a consequence of fixing to the existing structure. Our unique design decreased the traditional panel weight by approx 24% without any loss of strength. The approach employed by Grants to overcome significant engineering challenges is a key reason why we are market leaders in the design, supply and installation of complex precast cladding solutions.